I'm currently snowbound, unable to drive out of my neighborhood or even my driveway. Finally I have time to pursue hobbies, catch up on my binge watching and reading, and settle in by the fire to write handwritten letters to distant friends. 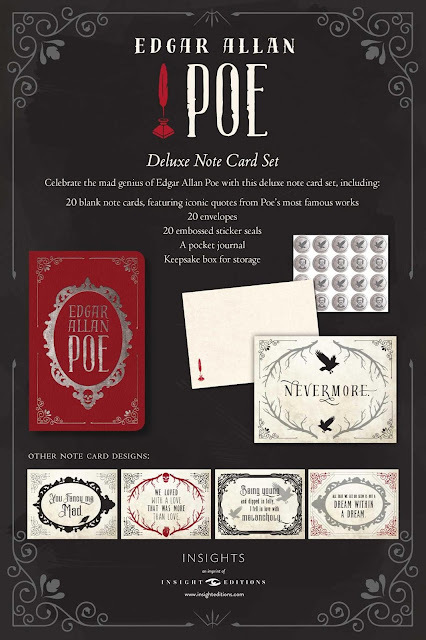 Check out this cool Edgar Allan Poe stationery set that's tempting me - if the Amazon delivery person can actually make it through the snow to deliver this to me! 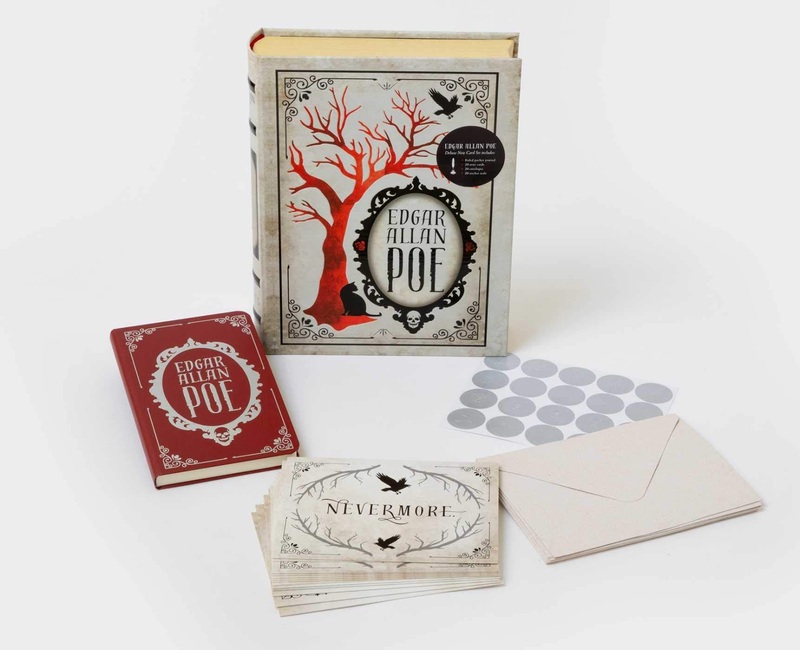 The stationery set includes an elegant keepsake box to keep everything together, a pocket journal, twenty blank note cards with Poe quotes on the front, and twenty blank envelopes. 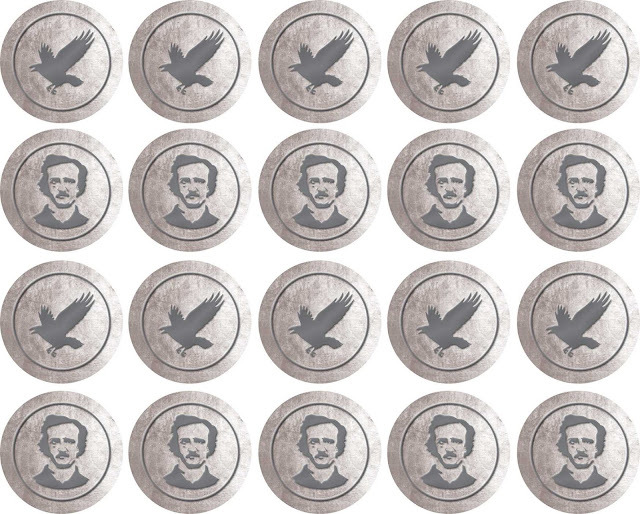 The Edgar Allan Poe stationery set also comes with twenty stickers showing ravens and Mr. Poe's portrait.